Glastonbury is once again opening arms and hearts to the arrival of Brazilian Shamans XamAM Alba Maria and Dhan Ribeiro from the spiritual eco community Terra Mirim in Bahia, Brazil. This year the Shamans are with us in Avalon for six whole days of magic, mystery and healing. 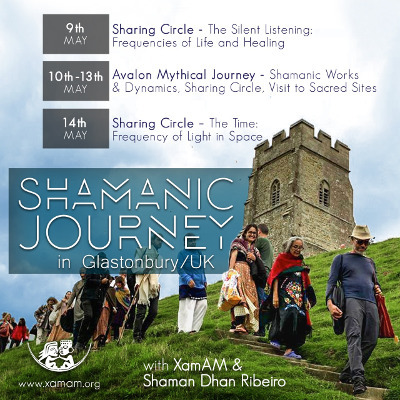 9th & 14th May – XamAM will be holding two of her now very popular and “Sharing Circles” at the Goddess Hall in Glastonbury, BA6 9NB from 6pm – 9pm. There are two separate themes, "The Silent Listening : Frequencies of Life and Healing" on 9th and "The Time : Frequency of Light in Space". You can read all the details on our website www.xamam.org/t-en (click on Programme in the menu bar). Come, brothers and sisters, come and ask the questions that are holding you back, causing you fear, keeping you stuck and allow her extraordinary hypercommunication to softly bypass your brain and reach into the heart and soul of the matter, helping you to decode your own beliefs, freeing you from your own inner prisons, liberating the wings of your heart to soar as the eagle you were always meant to be. 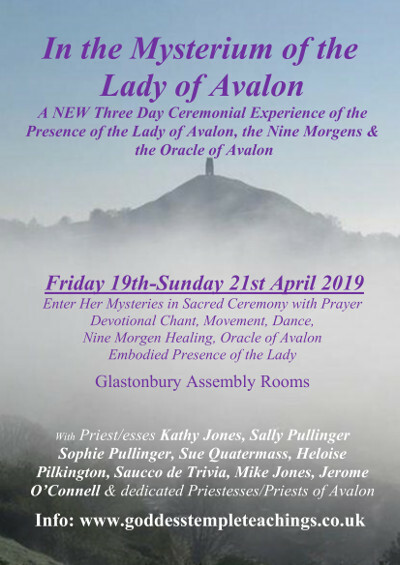 10th-13th May - We offer once again this beautiful experience, the Avalon Mythical Journey, which happens every year. 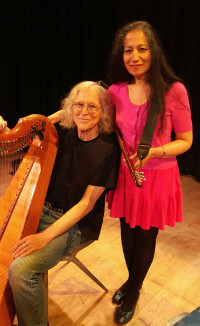 Please visit our website www.xamam.org/t-en and click on the Programme for full information. Our Facebook page https://www.facebook.com/ terramirimuk/ has links to all the events for the 2019 UK Tour including the Wembley based Shamanic Festival and Sharing Circles, Gillingham in Dorset Sweat Lodges, and of course you can visit the website to see the beautiful events happening in Germany and Sardinia too. 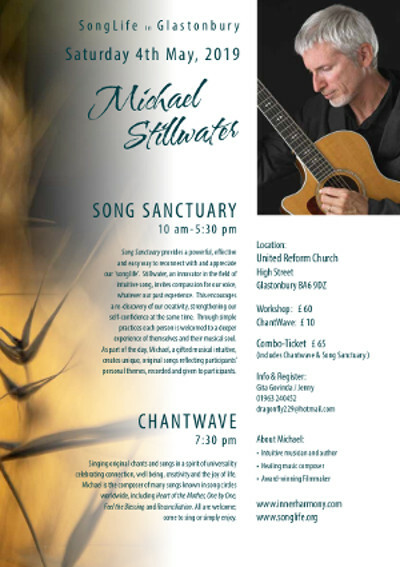 We really hope to welcome as many of you as we have seats to fill. This work is timeless, profound, heart opening, and potentially transformational. We are all here to do the work of the Great Mother - we are one tribe, let's do it together. Hey Great Spirit! Hey Great Mother! Hey Shaman! Approved by CThA for Post Graduate 20 CPD points. Hawaiian Lomi Lomi Massage has been used as a powerful tool for maintaining a healthy way of life for centuries. This massage is profoundly relaxing and powerfully detoxifying. The long forearm strokes are fun to practice and easy on the therapist’s body and hands. Each day you will learn new exercises and massage techniques designed to harness the power of the elements. This massage is profoundly relaxing, creating a deep trance state to allow the receiver to identify and dissolve limiting beliefs that cause illness in the body. -The history and philosophy surrounding this work including the practice of ho'oponopono, and its role in healing. 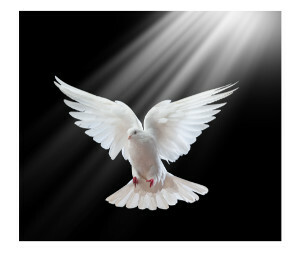 - Breath and movement exercises to activate your energy potential. 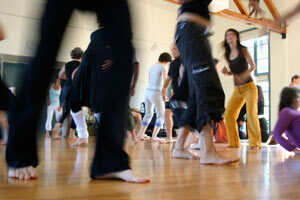 - Variations to work with specific conditions and different body types. - Self-Lomi for honoring and maintaining your own body. Only £545 for the basic course or £775 for both. Deepen your practice and increase your skills with advanced techniques including Lomi Iwi (bone washing), above and below the body work, tandem work and more in this weekend intensive. Open to my prior students and graduates of any of my 2019 basic courses. You can reserve a spot with a non- refundable deposit of £50. Pay £250 for graduates of my prior basic courses. See website for courses in Holland, Copenhagen and all-inclusive retreats in Hawaii. and Thursdays 11.30-12.30 at the Strode Swimming Pool. 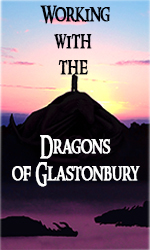 The Avalon Room, Glastonbury Courtyard, 2-4 High St, BA6 9DU.